This page documents data for Burch (1975), such as genera and species attributed to that publication (including known misspellings, misidentifications, and other unavailable names) as well as taxonomic opinions, if available. Taxonomic opinions refer to uses of genera and species as valid and invalid in that work. Burch, J.B. 1975. 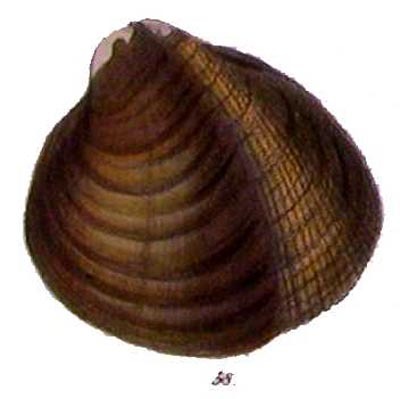 Freshwater Unionacean Clams (Mollusca: Pelecypoda) of North America. 204 pp. Conrad, 1853, Proc. Acad. Nat. Sci. 6: 261 [as ‘hippopæus’]. Adams & Adams, 1857, Gen. Rec. Moll. 2: 497 [as ‘hippopæus’]. Reeve, 1864, Conch. Icon. 16: pl. 11, sp. 40 [as ‘hippopæus’]. Simpson, 1900, Proc. U.S. Nat. Mus. 22: 767 [as ‘hippopæa’]. Haas, 1969, Das Tierreich 88: 287. Clarke, 1973, Malacologia 13(1-2): 35. 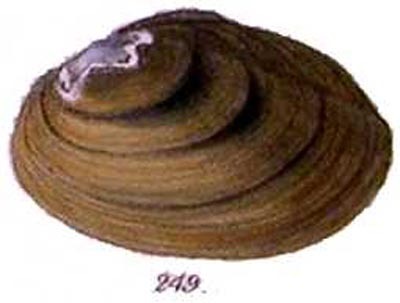 Strayer & Jirka, 1997, Pearly Mussels NY (26): 98. Küster, 1852, Conchyl. Cab. 9(2): 62. Agassiz, 1852, Arch. Naturg. 18(1): 43. Reeve, 1864, Conch. Icon. 16: pl. 14, sp. 58. Simpson, 1900, Proc. U.S. Nat. Mus. 22: 520. Haas, 1969, Das Tierreich 88: 483. R.I. Johnson, 1978, Bull. MCZ 148: 280. Conrad, 1853, Proc. Acad. Nat. Sci. 6: 250. Sowerby, 1866, Conch. Icon. 16: pl. 46, sp. 249. Simpson, 1900, Proc. U.S. Nat. Mus. 22: 759. Haas, 1969, Das Tierreich 88: 256. Turgeon et al., 1988, Am. Fisher. Soc. Spec. Publ. (16): 32. Williams et al., 1993, Fisheries 18(9): 13. Lydeard et al., 1999, Gulf Mex. Sci. 17(2): 129. Simpson, 1900, Proc. U.S. Nat. Mus. 22: 735. R.I. Johnson, 1970, Bull. MCZ 140(6): 334. Perkins et al., 2017, Conserv. Genet. 18: 752. Inoue et al., 2018, Invert. Syst. 32: Table S2. Simpson, 1900, Proc. U.S. Nat. Mus. 22: 560. R.I. Johnson, 1970, Bull. MCZ 140(6): 373. R.I. Johnson, 1972, Bull. Fla. State Mus. 16(4): 237. R.I. Johnson, 1970, Bull. MCZ 140(6): 327. R.I. Johnson, 1972, Bull. Fla. State Mus. 16(4): 206.